The Tour du Mont Blanc has endless attractions. Aside from the mountains and villages, there is the food, local traditions, constantly varying scenery and great hotels. Each day on the Tour du Mont Blanc you will pass through pretty villages and hamlets that sum up the picture-postcard image of the Alps. Chalet-style houses with pretty window flower boxes are common and small shops sell local fruit, vegetable, cheese and cured meats. Champex Lac and Les Contamines are particularly attractive. The larger towns, such as Chamonix and Courmayeur, have many more amenities and offer a range of hotels to suit all budgets. 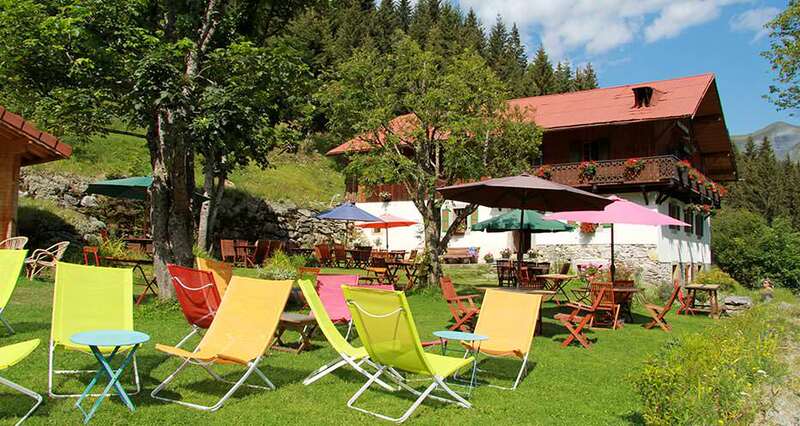 Most hotels outside of Chamonix and Courmayeur are 2-3 stars. They are family run and tend to have no more than 30-40 rooms. They are perfect for trekkers and provide good breakfasts and dinners. Les Chapieux is the only place without hotels: here they have auberges or village inns that offer more basic accommodation, but are perfectly nice for one night. There are campsites at all nightstops, but it is advisable to book in advance – particularly in July and August. Alpine meals were traditionally made with local ingredients and are high in fat and carbs! A meal would often include potatoes, cheese and cured meat. Tartiflette, rostii and fondue are typical of the region. Fortunately, Alpine cuisine has moved on and hotels and restaurants now provide great modern food. The bigger towns of Chamonix and Courmayer have European and Oriental restaurants and the hotels on the TMB offer a wider menu. Vegetarians, vegan and gluten free diets are generally well catered for, although you should not expect the quality and variety found in cities or at home.